Get ready for a new challenge to the north-woods! 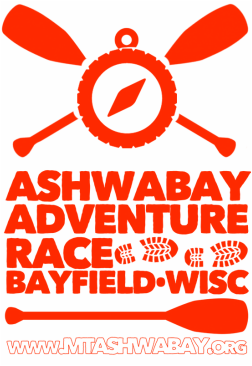 The 2nd Annual Ashwabay Adventure Race will take place September 26, 2015. The event fee benefits the Ashwabay Outdoor Educational Foundation, and includes a "Goody Bag" stuffed with a T-shirt, treats, and treasures. Beginners can try the 3-4 hour option while more adventurous or experienced racers can do a longer 4-6 hour race. These two will start at the same time 9:00 AM and location (Mt Ashwabay in Bayfield, WI). Teams will face challenges in various cross-country activities, including biking, orienteering, paddling, and more! You're going to need to join with friends to form a team of 2, 3, or 4 as mixed into the course will be a series of Team Challenges. If you'd like to get involved and help, we'll be needing Volunteers throughout the course, and handling logistics before the race. Race Disciplines and Time Approximations: Paddle- 45 minutes, Road Bike 20 minutes, Mountain Bike 1-2 hours, Orienteering 1-2 hours, Team Challenges 30 minutes. 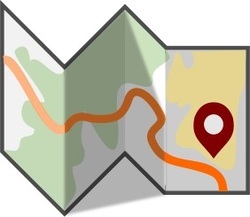 Adventure Racing is similar to going on a treasure hunt with a map and compass to find checkpoints. Adventure Racing is one of the few sports where just completing a race is often considered a victory. Adventure Racing is also unique in that all members must complete the race together sticking within a 100 feet of each other. Which creates an emphasis on strategy and teamwork, rather than individual achievement. Often times a fast team may not win because a slower team makes fewer mistakes. Adventure Racing offers an easy crossover for cyclist, runners, and water sport enthusiasts. Adventure races can vary anywhere from 2-5 person teams. The disciplines can also vary from race to race. Adventure racing can include shredding through tight single track on a mountain bike or orienteering and hiking through a dense forest. Adventure racers may find themselves ripping down rapids in a canoe and then rappelling off a 100 foot rock face. The races can last a few hours or several days and can cover 10 - 100 miles or more! The Ashwabay Adventure Race will have three main components: Orienteering, Mountain Biking, and paddling. The paddling component could be adjusted depending on water conditions in late September. The Ashwabay Adventure Race will last approximately 3-4 hours depending on each teams strategy and skill.